The Lights, Sounds & magic of the holiday season. 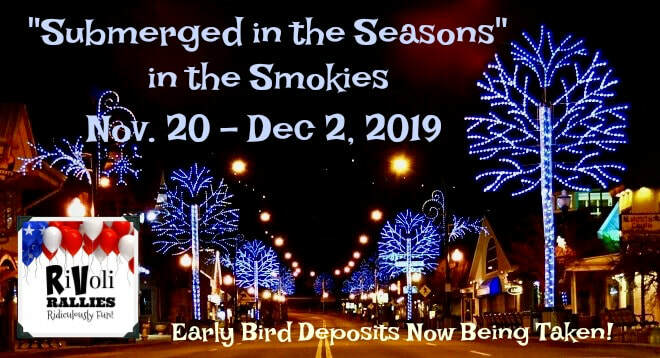 All Inclusive 12 Days and 12 nights of glorious fun in the Smokies! Come spend ThanksGiving in a magical wonderland of fun & Excitement! Click here to book your early Bird Deposit fofr "Submerged in the seasons"